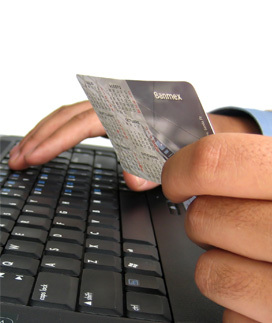 Companies who sell products or services online utilize an Internet Merchant Account, where payments are made through a secure online gateway. Additionally, merchants can also accept payments from remote sites through a virtual terminal that can be accessed from any computer with internet connectivity. These accounts are becoming increasingly popular due to the rapid expansion of portable devices. Is the gateway scalable enough to support growth? As your business becomes successful, a gateway should be able to support a website redesign or the addition of an integrated shopping cart. Is there an integration cost for the gateway? Most companies fail to account for the additional cost necessary to integrate their website with the payment gateway. Be sure to discuss this potential cost with the web designer to determine if there is an additional cost for this process. Are there any fees for using a gateway? Discuss with the various providers whether they charge a setup fee to establish an account. Providers will also charge a monthly gateway fee and a per-transaction fee. Beware of companies who offer heavily discounted merchant account pricing, they may attempt to hide additional costs within the gateway fees. Does the Gateway offer Fraud Prevention Services? If you lack the staff on hand to verify orders, or have not implemented an internal monitoring system, a payment gateway can assist you with fraud prevention services. These services should include address verification assistance, blocking of international transactions, and requiring the customer to know the credit card Security Code. These three simple tools are essential in protecting you and your customers from fraud.